“The Joys of Sarasota,” a show of recent etchings by Florida artist/author Elisabeth Stevens, will open on Friday, March 17 at Stakenborg Fine Art, 1545 Main Street, Sarasota, from 6-9 p.m. and continue through March 30th. 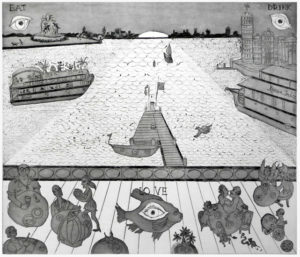 The show features three large, imaginative interpretations of local scenes as well as smaller Florida-themed etchings. 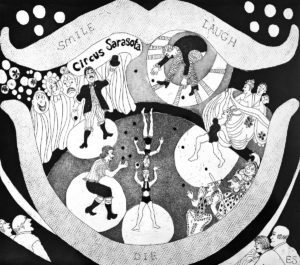 The big Sarasota etchings are “Circus Sarasota,” a one ring close-up that includes star performer Dolly Jacobs; “Sunset at Marina Jack’s” a lighthearted view of patrons at the popular waterfront restaurant, and “Nik,” which heroically portrays the world-renowned tightrope walker Nik Wallenda, a Sarasota resident. 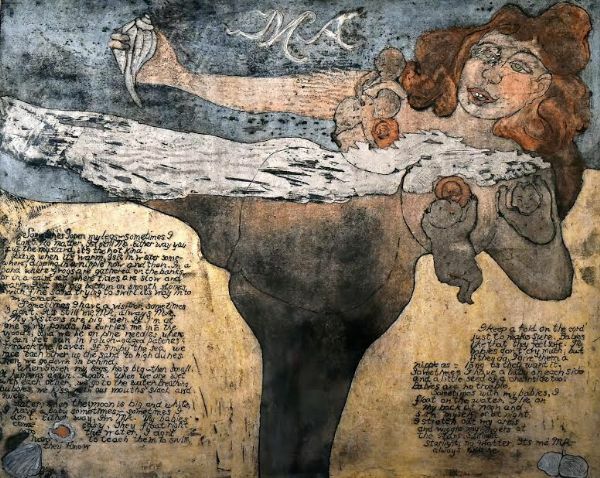 Limited edition prints of three large etchings were auctioned in January at the Circus Arts Conservatory’s annual benefit gala. 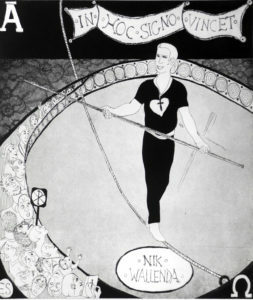 A print of the Wallenda etching will be donated to Nik in admiration by the artist herself. The show will be listed in the March issue of “Style Magazine,” with an interview of Elisabeth Stevens.